Legendary Martial Artist Bruce Lee once said that what matters most is to go out there and express oneself honestly. Truth be told, nothing could lend more efficacy than this gem from Bruce Lee in describing Nico Rosberg, F1’s newest world champion. It hadn’t even been a full week since Formula One’s dizzying galaxy could fully come to terms with embracing it’s new crown prince. 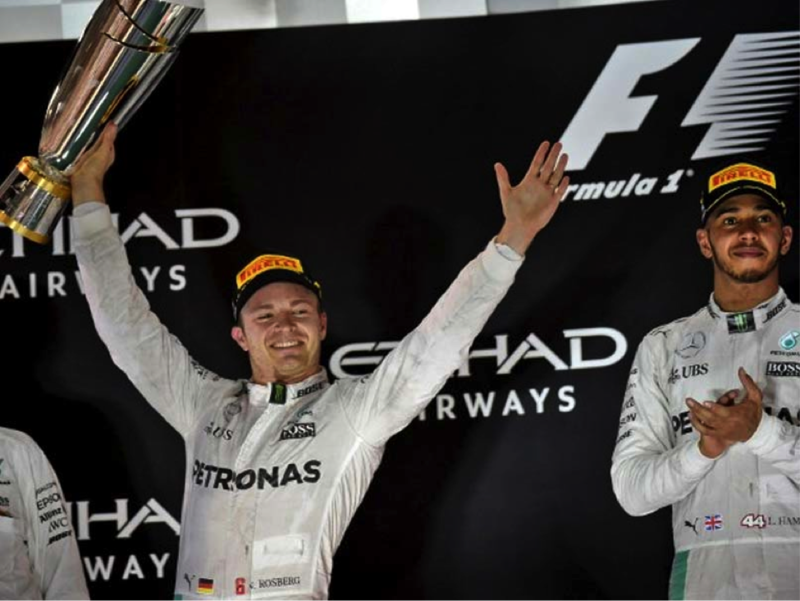 It seemed, celebrations were only getting stronger and party sounds only beginning to reach their crescendo on dance floors, where fans singing laurels of praise on Nico Rosberg came in for a real shocker. Nico’s upstaging of Lewis, his fierce rival since 2013-16, signaled a new change of guard at the very top echelons of F1, so used to seeing the Briton’s familiar face against the World Championship tag. And now, it seems, it’s all going to change once again. Within hours of his electrifying triumph, Nico announced that he is bowing out from Formula One, albeit with the same passion with which he has driven in his entire career. 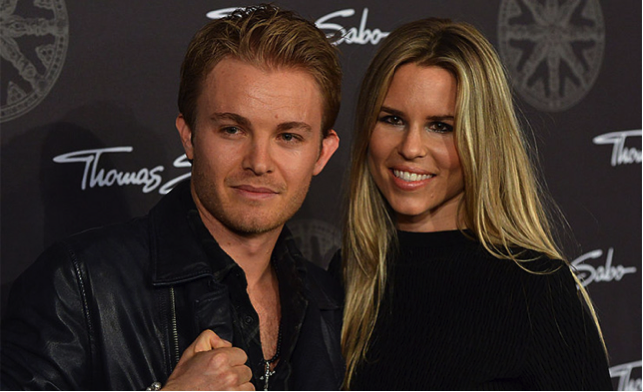 Addressing fans on social media, sporting an honest smile even as he announced his adieu, Rosberg, seemed unperturbed, sporting the same equanimity with which he’s feathered some exciting highs on the track. One of F1’s most admired sons of late, opened his heart to thank his fans for their loyal support, extending a kind word to all who have ‘helped’ him achieve his greatest accomplishment- 2016 World Championship title and expressed with a soft smile, how it felt right about retiring. Off course, a fiercely talented sportsman and someone who is young and audacious as Nico, is expected to go long and gun for more glories, especially with age being on his side. Nico- now more than just a famous surname, a man who has leap-frogged the famous shadow of his father, beating the comparisons, often an extension of unfounded anxieties of his critics- is just 31. You immediately begin to wonder what went wrong when it all seemed so right for the German? As fans, so passionately involved in supporting our heroes and as audiences, so used to seeing familiar names pop up unstoppably in news, we expect the relentless competition to go on and seem unwilling to expect sudden stoppages to these famous patterns. Nico versus Lewis, Lewis beats Rosberg, Nico charges past Lewis, these were the famous narratives, not necessarily in the right order of arrangement that dominated F1’s galaxy for 3 long years. After so brilliantly winning his 2014 and 2015 world championships, finally Nico came and spoiled Lewis’ party, absorbing every bit of the fanfare that deservingly came in his direction, in line of his 2016 heroics, beautified by 9 race wins. 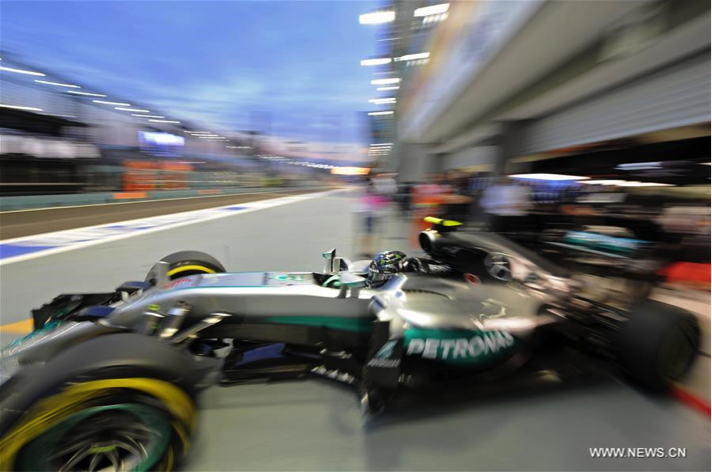 Therefore, Nico’s sudden retirement seems a very sour idea, especially for fans and a one hundred percent bad news for those who had wanted the fiercest rivalry of modern day Formula One to go bonkers on the track and even off the tarmac. And that is where the improbable becomes the looming probability, rather an affirmation albeit unraveled through a bombshell of an announcement. 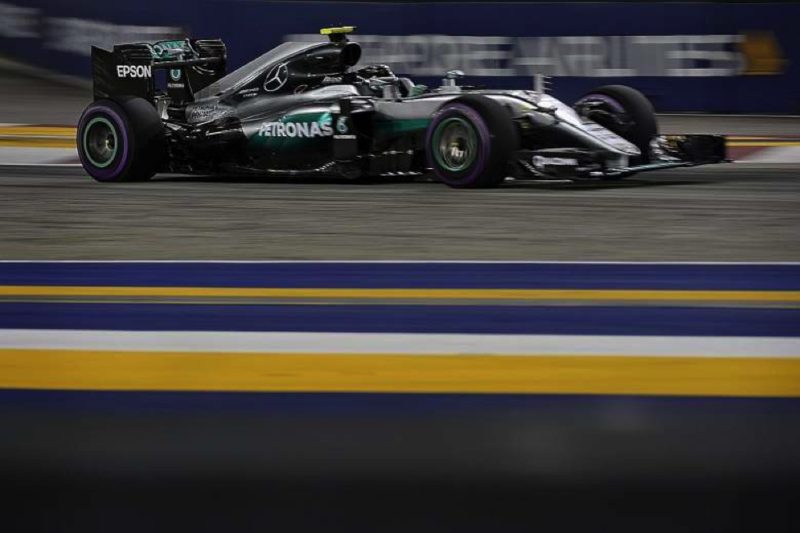 That Nico drove brilliantly all throughout the year, aligning an inner fury to win with an equanimity best expressed by his cool exterior made him the sort of unexpected but eventual winner of 2016, much against the veto of popular contention rooted in favor of Lewis Hamilton is common fact. But that Nico’s remarkable and ultimately, checkered journey in Formula One was exacerbated by an emotionally consuming and menacingly competitive rivalry that took a lot out of him is also a fact he cannot hide, nor ever plans to. 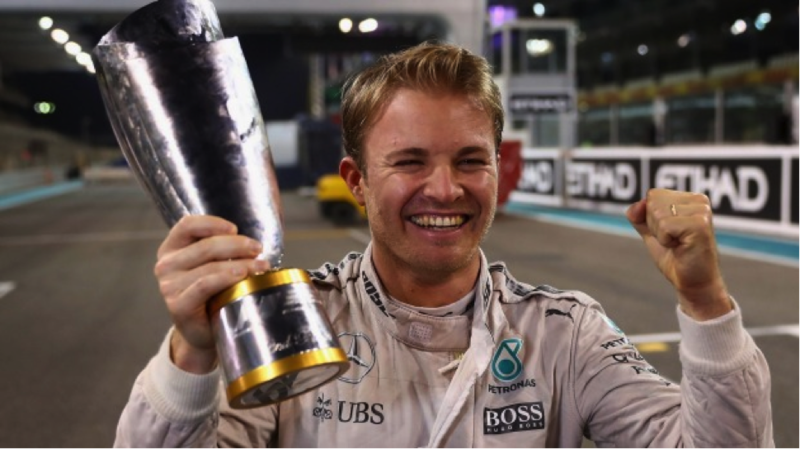 And therefore the sound of victory, its eternally gratifying taste of triumph, savored eventually but not before giving it all in return seems to be the fitting farewell to Nico Rosberg’s journey. He was in top form, no doubt about it. Many victories seemed ahead of him in the coming years, highly doubtable. But he was so relieved at the end of 2016, finally winning after having forged a memorable partnership with the Silver Arrows, teaming along-side not a man he would call his best friend but a daring and champion rival, that this seems just right, in fact, dare one say, even inevitable. 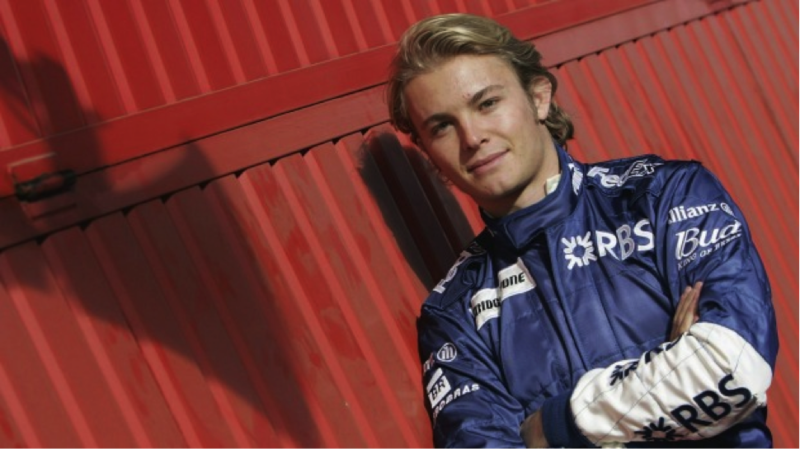 Having battled the highs and lows of a tantalizing slugfest called motorsport racing and stayed strong, having been tormented from the inside on losing out on what may have been his first shot of glory during the closing stages of 2015 when it all went wrong for him, Rosberg ferried on, keeping the mantle of competition at the very top unsullied by his rivalry with Lewis. There would be no more of ‘P2’ for him in 2016, the year when he proved Lewis and in turn, his detractors wrong, some of whom still posing the audacious competition whether he was ‘the deserving winner’.